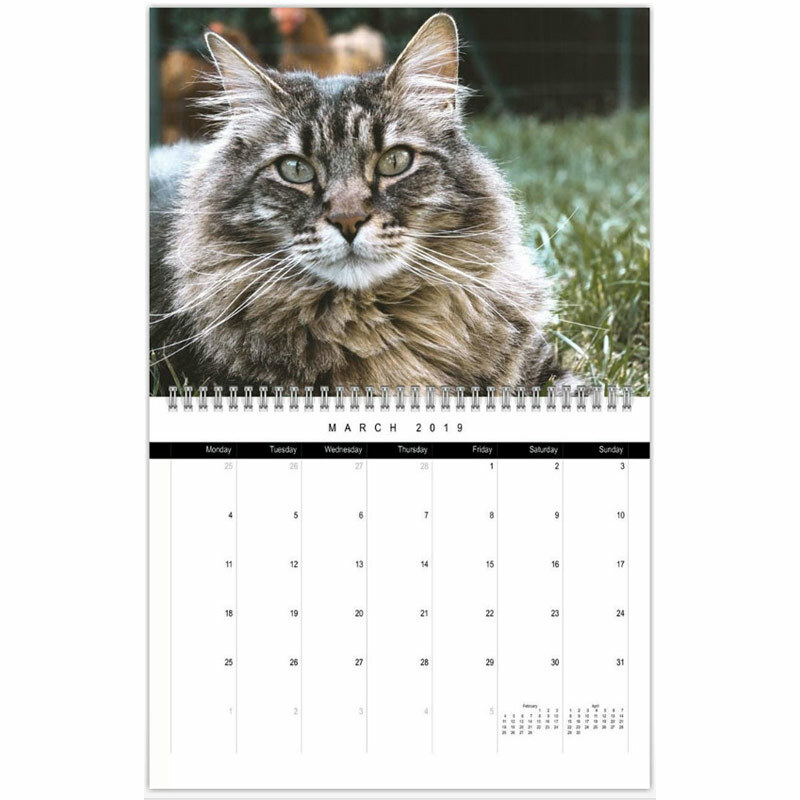 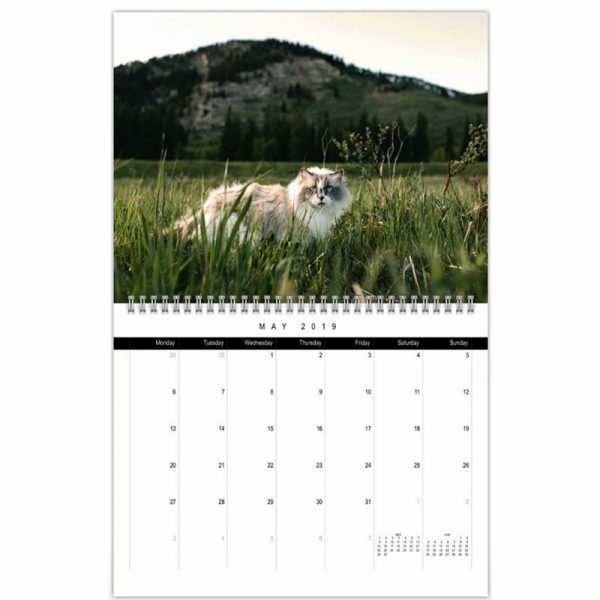 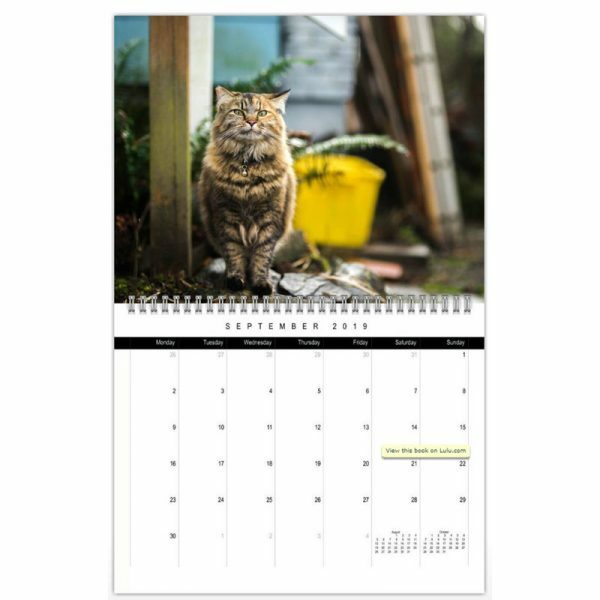 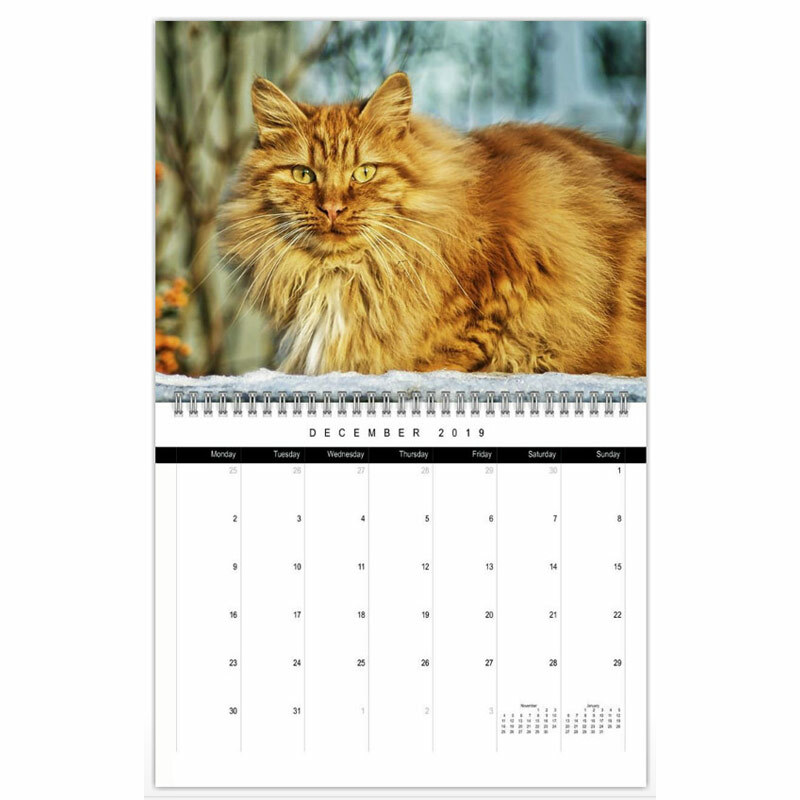 Siberian cat wall calendar for 2019. 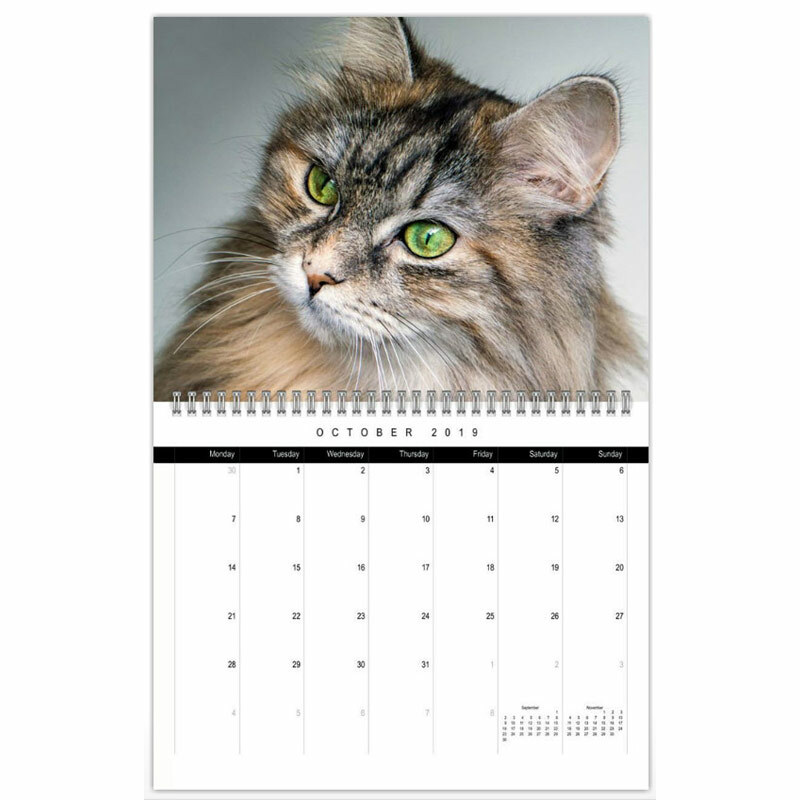 11″ x 8.5″, coil binding , white interior paper (100# weight) , full-colour interior ink. 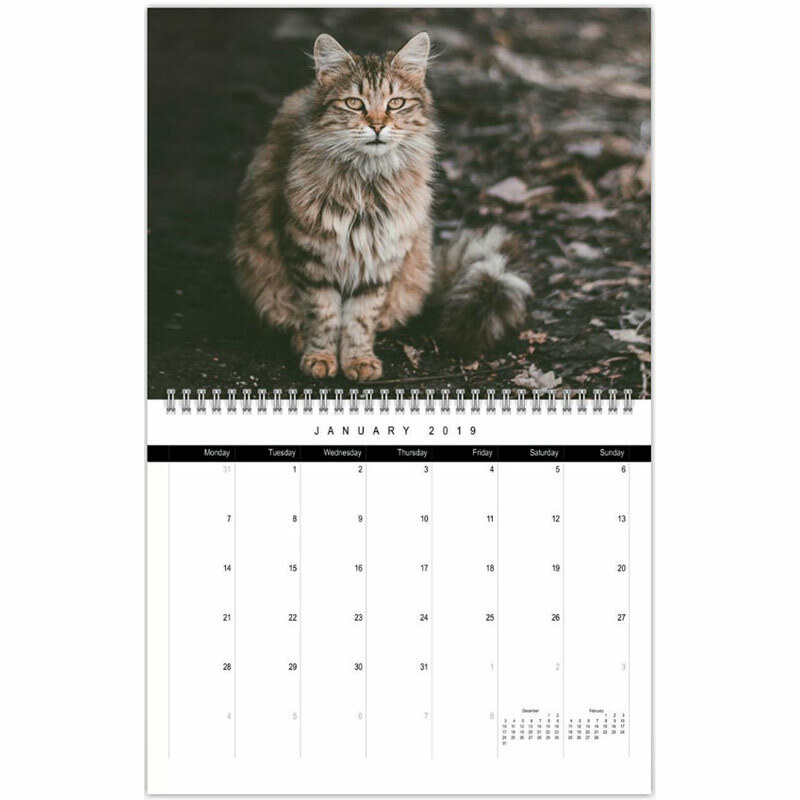 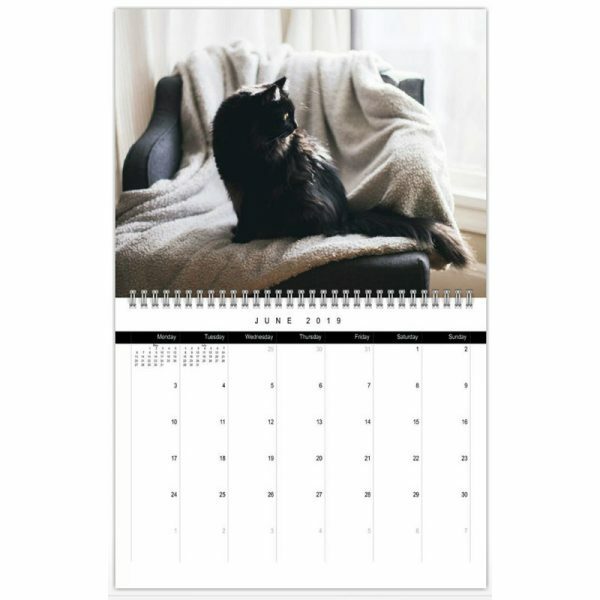 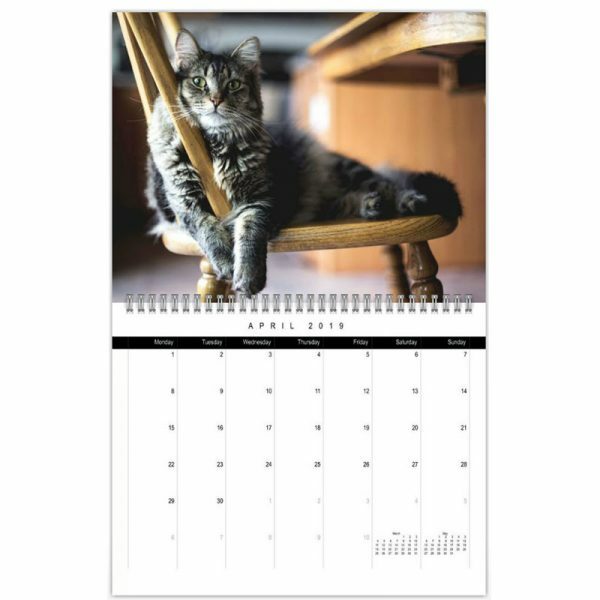 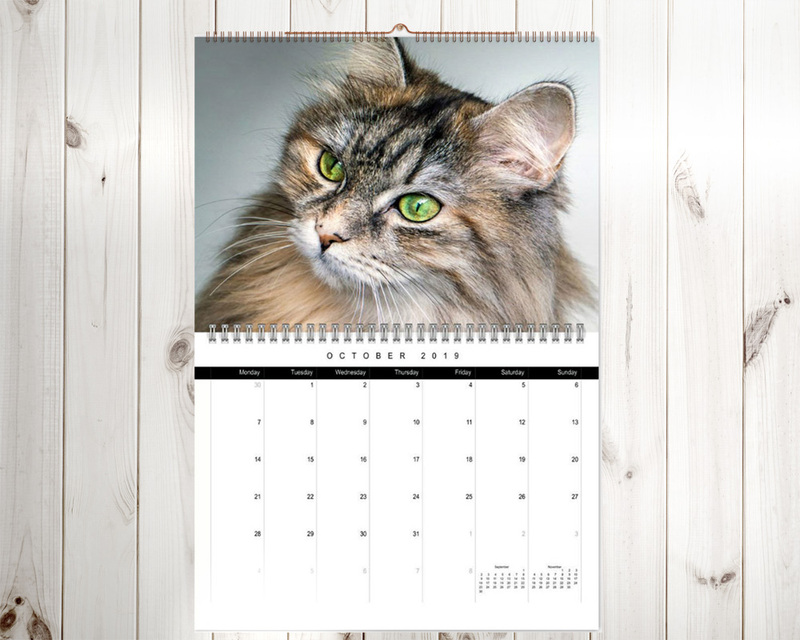 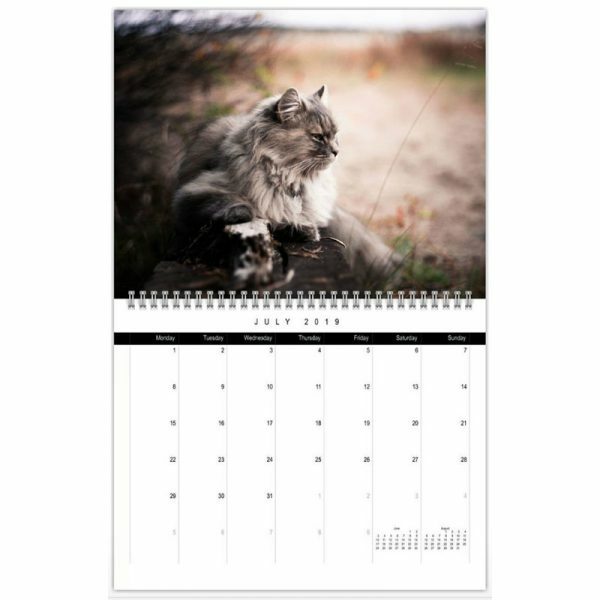 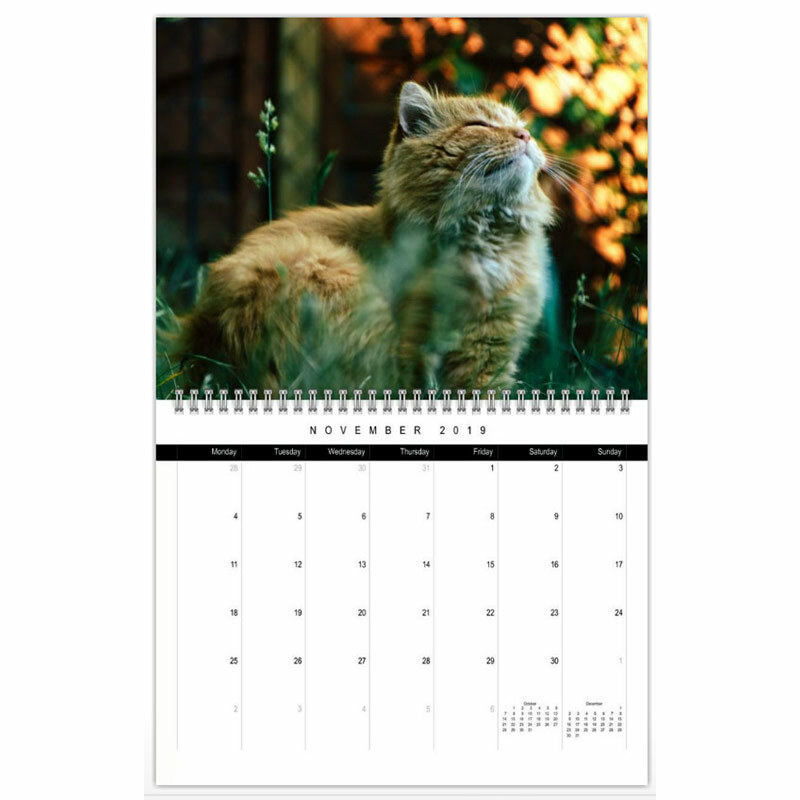 Would you like a custom-made calendar featuring your lovely Siberian instead? 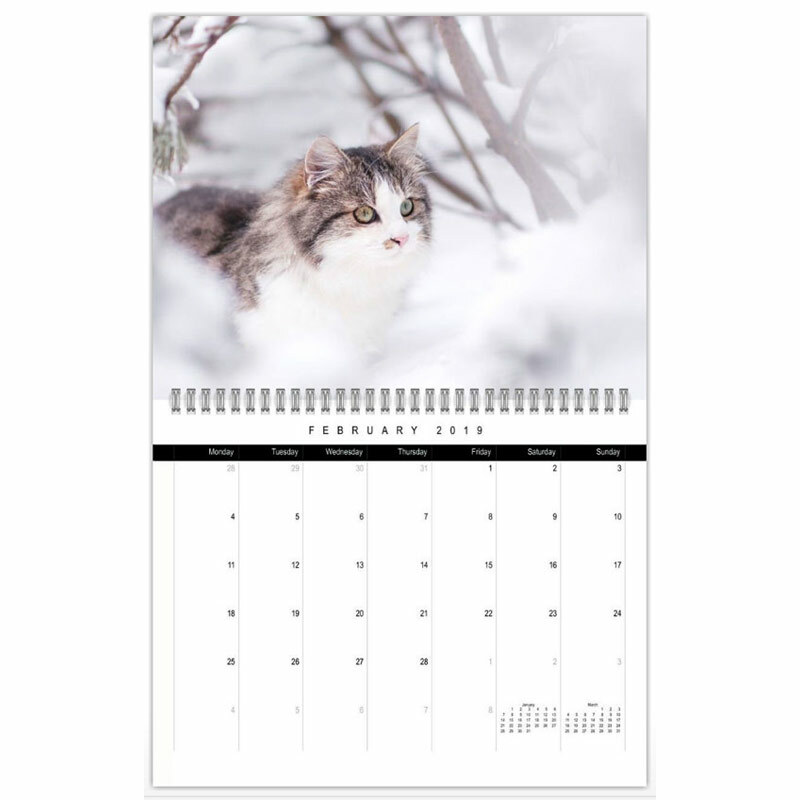 Email us at info@siberiancatworld.com and we can create one for you! 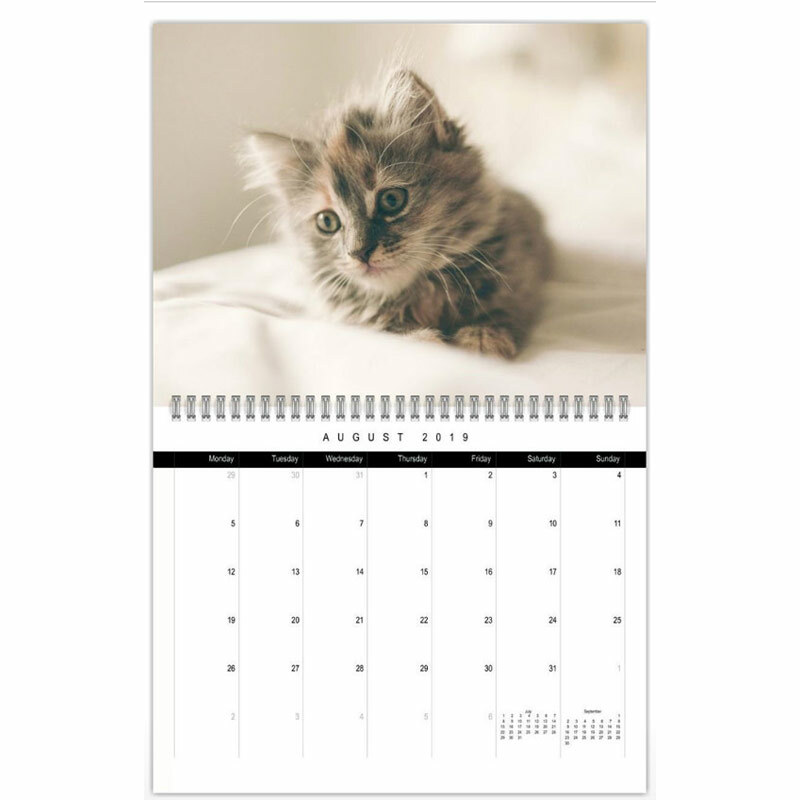 Sweet little calendar Sweet little calendar, just as displayed on pre-view. 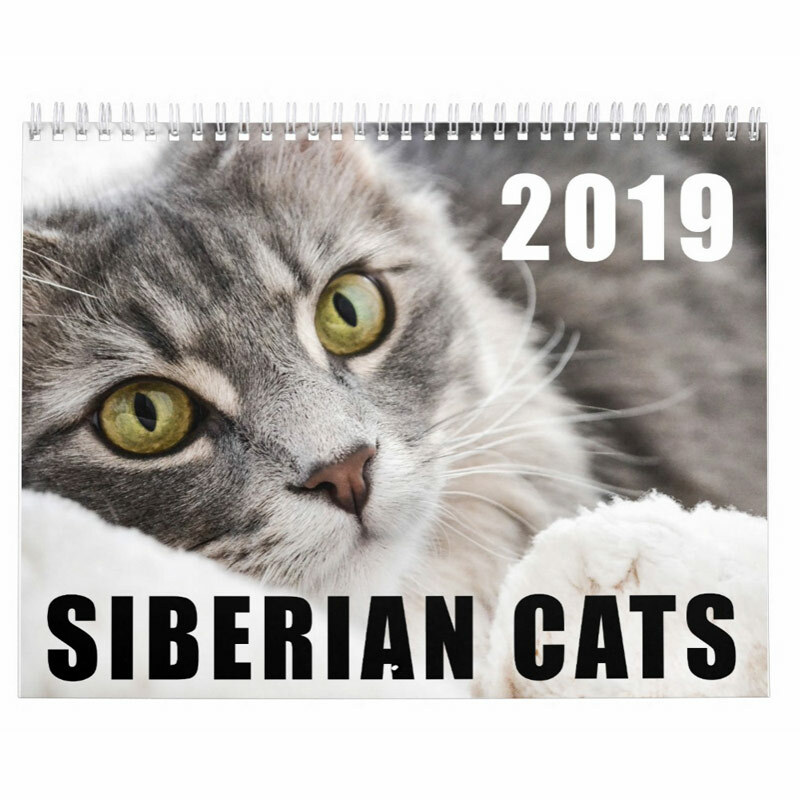 T.J. Hovak Bought this for my mom and her 2 siberians, she loved it!